Her short post has links to the study itself, which was an interesting read. The bottom line from my perspective is that we need to include mindfulness in schools as soon as possible so people can gain a clearer understanding of how their mind works. Here’s the rest of the ALEC playbook: when revenues fall short raid the pension funds of public employees; privatize public services replacing union workers with lower-wage at-will employees thereby rewarding the shareholders while racing to the bottom on wages for those providing services; deregulate so that the privatizers do not have to meet the same standards as the agencies they replace; and make sure the media outlets controlled by ALEC repeat the mantra that government is the problem and the marketplace will solve all problems. Sunlight is the best antidote to secrecy… and MAYBE if people realize that the economic ideas promoted by ALEC are designed to expand the wealth of the top .05% at the expense of the rest of us they MIGHT change their thinking… and if that happens the enduring power of a host of bad ideas might be diminished. Under stress, the body produces two hormones that are protective, adrenaline and cortisol. But when stress becomes excessive—what the field now describes as “toxic stress”—the excessive hormonal activity damages neural connections, undermines immune responses, and changes the parts of the brain that directly affect memory, learning, and emotional control. These studies generally concur that persistent neglect and inadequate nurturing are primary causes of brain deterioration. Evidence based on a wide variety of studies of children, including children in foster care around the world, clearly shows, usually with the use of MRIs, the detrimental consequences for neural connections and brain size of seriously inadequate nurturing. Sociological research, in turn, shows how common child neglect is among the poor. Poor parents are fraught with anxieties about providing adequate food and transportation, and often the safety of their communities and the stability of their families. Some may simply be irresponsible, or use drugs, but numerous ethnographies of the poor, by the Children’s Defense Fund, independent scholars, and others, show that these parents, including single mothers, care about their children as much as parents of greater means. The issue is rather that they often can’t get jobs that allow time for them to spend with their children and lack the resources, time, or freedom from anxieties to cope. Studies also show that the quality of prenatal care can affect early childhood development and that pregnant women on drugs or in depression can also affect the newborn child’s neurological growth. Madrick’s article is full of detailed descriptions of research supporting his conclusions and decries the failure of political leaders to face up to the scientific evidence regarding the effects of poverty and their failure to accept evidence that government anti-poverty programs CAN make a difference. When the scientific evidence and careful research shows something is true, why isn’t there a groundswell of support for legislation to use that evidence to move forward? A recent blog post by Paul Waldman in the American Prospect has the answer to the question. The post, titled “What Americans Think of the Poor” provides some insights into voters’ ideas about poor people based on a recent poll conducted by the Pew Charitable Trust. Dividing respondents into seven different ideological/demographic groups ranging from “Steadfast Conservatives” to Solid Liberals”, the poll shows that over 77% of the identified “conservatives” believe the poor have it easy and over 55% of the same group believed a lack of effort was more responsible for their lot in life than “circumstances beyond their control”. For all intents and purposes the American public was split down the middle on these questions. The research is now undeniable. Inequality in America begins at birth, or, for those born to women who are ill during pregnancy or do not have adequate prenatal care, even before. Through no fault of their own, up to one quarter of American children start off well behind, and another quarter live in families that earn only twice the poverty line—about $48,000 a year for a family of four. Armed with the unambiguous findings of twenty-first-century neuroscience, we can no longer just tell children raised poor to study harder and find jobs as they grow up. A nation that needs all its citizens to be productive workers, and that promises a fair and dignified life to all, regardless of race or color, must now turn its attention to its enormous pool of poor children. I keep hoping someone running for a political office somewhere in this country will take up this issue and MAYBE help the public understand that poverty is neither a choice nor an easy life for children. 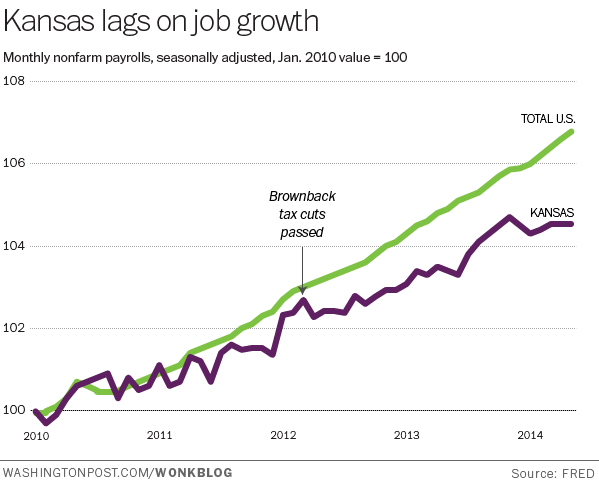 Every month brings fresh economic news that further validates these findings — job creation in Kansas has remained essentially flat since last fall, even as employment increased in the rest of the country. In his campaign for mayor, Bill de Blasio called for diversifying these schools. His administration recently endorsed proposed state legislation that would broaden the criteria for admissions to the city’s three original specialized high schools — Stuyvesant, the Bronx High School of Science, and Brooklyn Technical High School — where the use of the test is mandated by state law, to also include factors such as a student’s grade point average, state exam scores and attendance. At the five other selective schools, Mr. de Blasio has the power to change the criteria without legislation. The remaining seats are allocated to the highest-scoring students from four different socioeconomic tiers, under the premise that students in the poorest parts of the city who score modestly lower on standardized tests have a lot to offer, given the obstacles they’ve had to overcome. I have an even easier solution: expand the number of high schools that offer a comprehensive college preparatory program mandating that at least one cohort of students in each HS are offered a program that matches the one taught in the elite schools. NYC is a classic examples of the effects of magnet schools: if you attend a “non-magnet” school you are “un-gifted and un-talented” and your school’s reputation is tarnished, its expectations are lower, and its teachers less enthusiastic. Expand the number of classrooms that offer high caliber classes in neighborhood high schools and you will expand the pool of African American and Latino students in highly competitive courses. Voila! Years ago when I began my career as a Superintendent in the 1980s there was a small group of Superintendents who districts hired to “clean house” and to “run schools like a business”. When they were appointed everyone in the district knew their “playbook”: they’d fire people knowing that the board would support them, cut the budgets by looking for imprudent spending that was “baked into” the budget, and drive hard bargains at the negotiating table. In all cases, though, the Board expected them to play by the rules in place, respond to the parents, be respectful to teachers, and use public funds prudently and wisely. In the 1970s and 1980s this was the way business operated and while it was often unsettling for teachers there was some legal mechanism in place for them to seek relief be it through their union or the State’s Labor Relations Board. Nowadays there is a “new breed” of school superintendents who districts hire to “clean house” and “run schools like a business”… and the paradigmatic “new breed” Superintendent, Paul Vallas, is described in detail in this Common Dreams article by Black Agenda Report writer Bruce Dixon. Unfortunately for the public today, “running schools like a business” means privatization and outsourcing which, in turn, mean meeting the needs of shareholders instead of children. While there is no evidence whatsoever that privatization improves the overall performance of school districts, it capitalizes on the misguided belief that the private sector can always run things better than the public sector… this despite the recent travails of GM, the serial failures of the banking industry, and the devastating effect that outsourcing has had on our economy. We should never forget that the idea that all children in a society deserve quality education is historically a new and revolutionary idea. Even more revolutionary is the notion that students, parents, communities and teachers ought to design and control every aspect of those educational processes. There is a struggle of historic proportions going on over the question of education, and ultimately all of us will have to take a side. Jerry Brown, Andrew Cuomo, Michelle Rhee, Barack Obama, Rahm Emanuel and Chainsaw Paul Vallas are on one side. What side are we on? I think the notion that there are “two sides” is too simplistic. As the recent New Yorker article on the Newark schools indicted a continuation of the status quo in Newark would have resulted in the perpetuation of patronage assignments that did not help children in the classrooms and antiquated teaching methods and administrative oversight that failed to provide opportunities for better learning. Public education needs to change and improve and it needs to be exempt from politics… but the kinds of changes imposed by businessmen with spreadsheets overlooks the human side of schools and schools are first and foremost humanistic enterprises and NOT profit centers or “branch offices”. In short, if you are opposed to the “side” of the politicians and “chainsaw” superintendents you are not necessarily on the “side” of the status quo… because there are clearly some aspects of the status quo that need to be improved. Our current brand of capitalism is an ersatz capitalism. For proof of this go back to our response to the Great Recession, where we socialized losses, even as we privatized gains. If it is not the inexorable laws of economics that have led to America’s great divide, what is it? The straightforward answer: our policies and our politics. Some drew the wrong lesson from the collapse of the Soviet system. The pendulum swung from much too much government there to much too little here. The bankers, among the strongest advocates of laissez-faire economics, were only too willing to accept hundreds of billions of dollars from the government in the bailouts that have been a recurring feature of the global economy since the beginning of the Thatcher-Reagan era of “free” markets and deregulation. The American political system is overrun by money. Economic inequality translates into political inequality, and political inequality yields increasing economic inequality. So corporate welfare increases as we curtail welfare for the poor. OUR divisions are deep. Economic and geographic segregation have immunized those at the top from the problems of those down below. With almost a quarter of American children younger than 5 living in poverty, and with America doing so little for its poor, the deprivations of one generation are being visited upon the next. Justice has become a commodity, affordable to only a few. We need not just a new war on poverty but a war to protect the middle class. The problem of inequality is not so much a matter of technical economics. It’s really a problem of practical politics. Ensuring that those at the top pay their fair share of taxes — ending the special privileges of speculators, corporations and the rich — is both pragmatic and fair. Widening and deepening inequality is not only drive by the “laws we have written ourselves” but also by the laws we have ignored and failed to write. Brown v. Board of Education celebrated its 60th year on the books, and schools are more segregated than ever. Several states have failed to meet their constitutional mandates to provide a free and equitable education to its students and their legislatures have failed to take the action needed to address the problem. I am dismayed that this section of the Times is ending… and hope that the decision was an editorial one and not one driven by squeamish shareholders who don’t want the facts about inequality to see the light of day.